3 Tips For Avoiding Probate - Crooks, Low & Connell, S.C. In the immediate aftermath of the death of a loved one, even the smallest of tasks can seem overwhelming and exhausting. Handling funeral arrangements, dealing with personal possessions, and adjusting to the loss can take all the time and energy you have. The probate process can be a long and frustrating one. It may include taking an inventory of all of the individual’s property, as well as “proving” that any will that the decedent created is valid. Minimizing this process can save you time, energy, and money. One way to minimize the stress is to ensure that your loved one has structured his or her assets to avoid probate as much as possible. 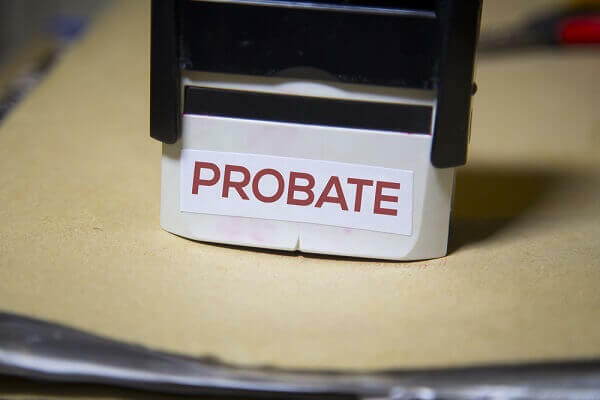 One of the easiest things you can do to avoid probate is to ensure that all of your investments, retirement accounts, life insurance policies, and any other financial accounts you own have a named beneficiary. You most likely were asked to identify a beneficiary when setting up the account originally. However, it is worth double checking your accounts to make sure that someone was identified, and that the person you named is still the person you wish to benefit from the account upon your passing. When a beneficiary on an account is identified, the assets can pass immediately to the beneficiary upon death without having to go through probate. This is why these types of accounts are often called “payable-on-death” accounts. This can be especially important for bank accounts holding funds that your survivors may need to handle your final expenses. A second, and slightly more complicated step that you may consider is the creating a revocable living trust. You can place your assets and property in the living trust and designate a beneficiary to receive the assets upon your death. Once the property is placed in a trust it is technically owned by the trustee. This means that upon your death the assets in the trust do not have to be included in the probate process. Instead, the trustee can simply distribute them according your directions, as laid out in the trust document. While living trusts do not have to be complicated, they are legal documents and it is best to have them prepared by an experienced trusts and estates attorney. Only an attorney can work to ensure that no mistakes are made that may throw your estate back into the arduous probate process. Planning for death or what will happen after you or a loved one passes is never easy. But one gift that we can all endeavor to leave our loved ones is the ability to manage our estates easily while in mourning. In order to accomplish this, certain planned steps must be taken to arrange your assets in a way that allows for them to most easily transfer. At Crooks, Low & Connell, P.C., our trust attorneys can work with you to structure living wills, review Wisconsin deeds, and organize assets in a way that is as advantageous as possible. For more information, or to schedule a consultation, contact our offices online or at (715) 842-2291.